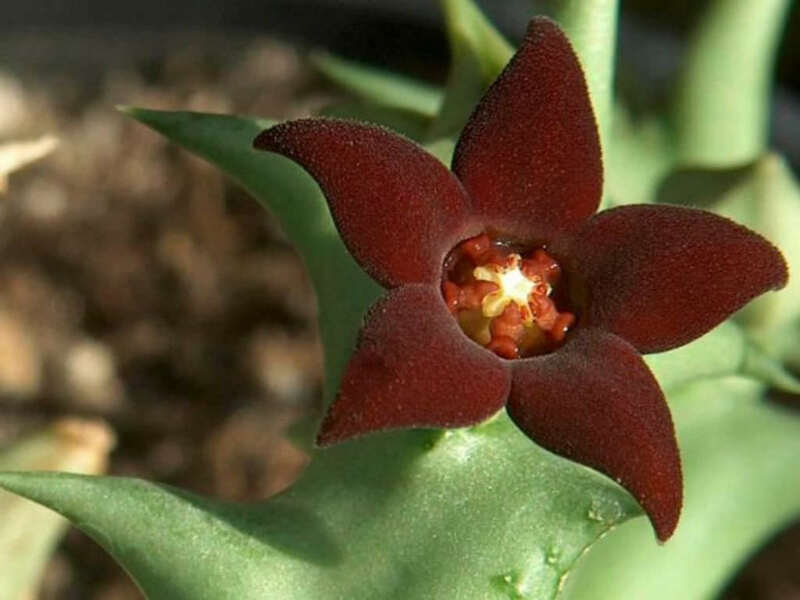 Orbea decaisneana is a slender much-branched perennial succulent up to 8 inches (20 cm) tall, forming diffuse mats up to 20 inches (50 cm) in diameter. 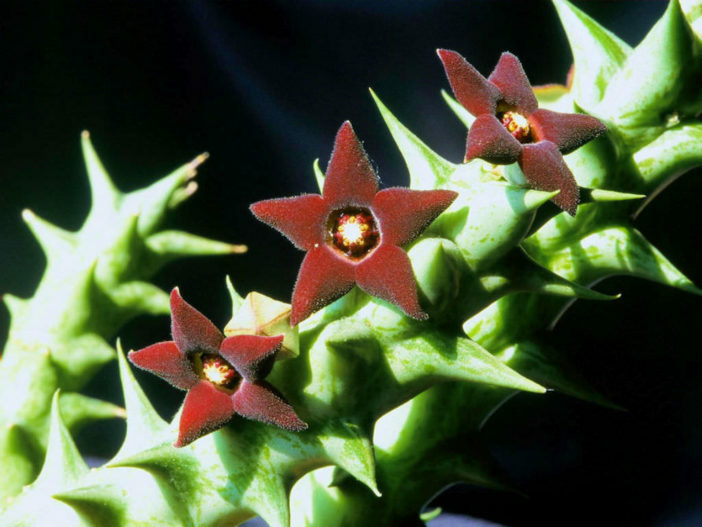 Stems are slender, cylindrical, slightly angled with conical protuberance, erect to decumbent, whitish green to grey-green, marbled or spotted with brown to purple, 3- to 6-ribbed, up to 16 inches (40 cm) long and up to 0.6 inch (1.5 cm) in diameter. 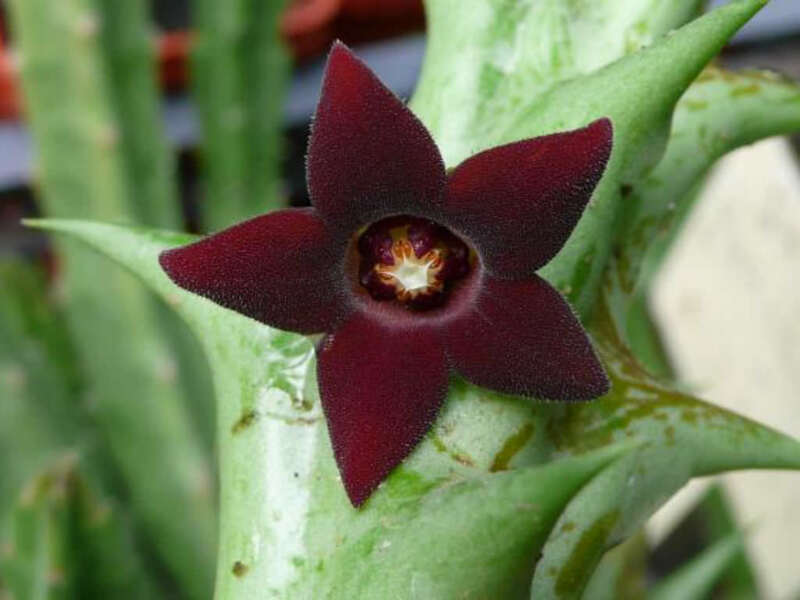 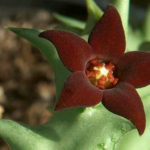 The star-shaped flowers are up to 1 inches (2.5 cm) in diameter, and dark purple or reddish-brown in color. 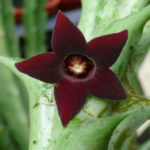 Native to Senegal, Mali, Morocco, Burkina Faso and Sudan.